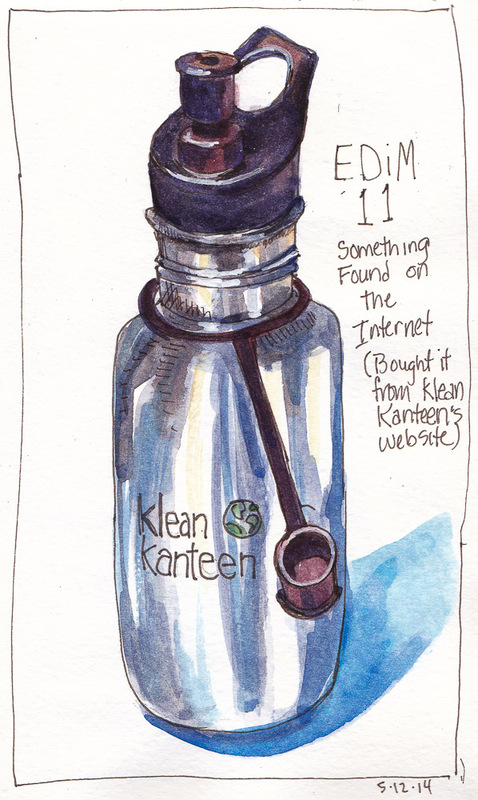 I love Klean Kanteen stainless steel water bottles. I keep a tall one in my car, the one sketched above lives on my bedside table, I carry a Kid-sized bright blue one on walks and keep a jumbo 64 oz. Klean Kanteen filled with lemony water in the fridge where it surprisingly fits nicely on the door shelf. I use it to make sure I get my 8 cups of water each day. The bottles are light weight and don’t leave a taste or chemicals in the water. 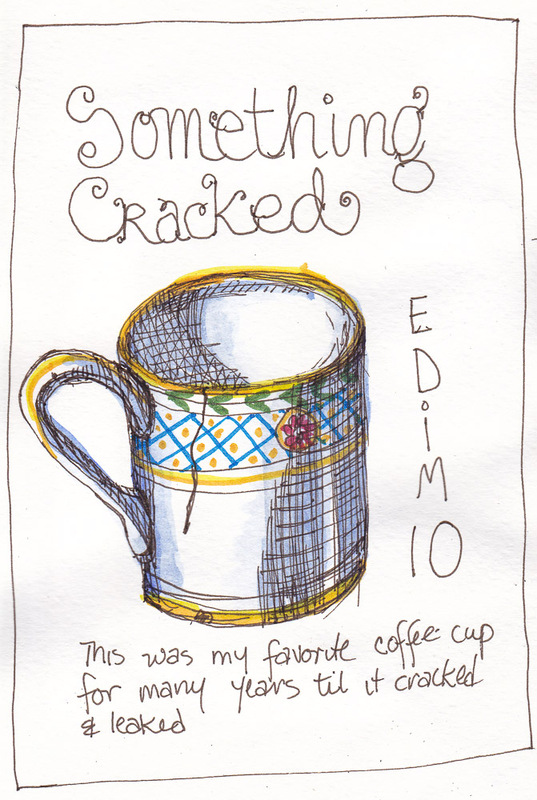 This drawing is just as cracked as the cup! This was my favorite coffee cup for a long time. Now it’s on my still life shelf waiting to pose for a painting. I shouldn’t have even started this sketch as I was way too tired and it shows. 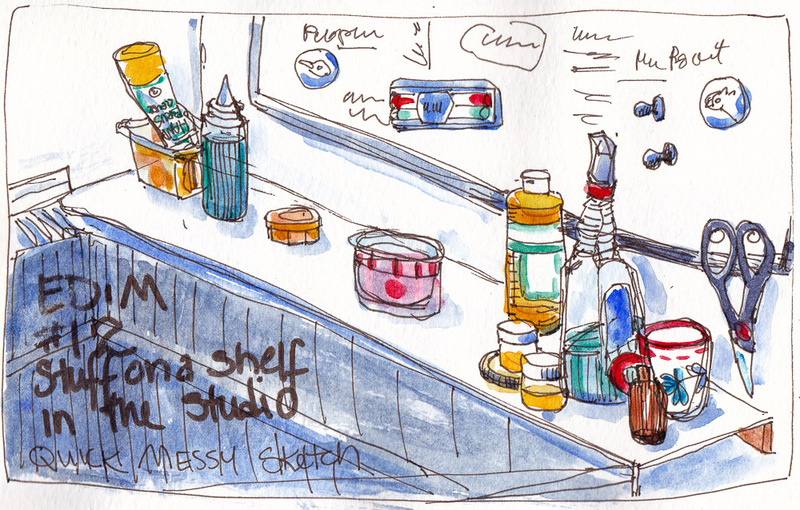 This is a shelf next to the sink in my studio. I drew quickly and directly with ink and painted just as quickly. Sloppy but it’s done.